The project engineers have developed three conceptual options for the Jaguar Way Extension. Please consider the following. All images can be viewed in a larger size by clicking on them. This will open the file in a new window. 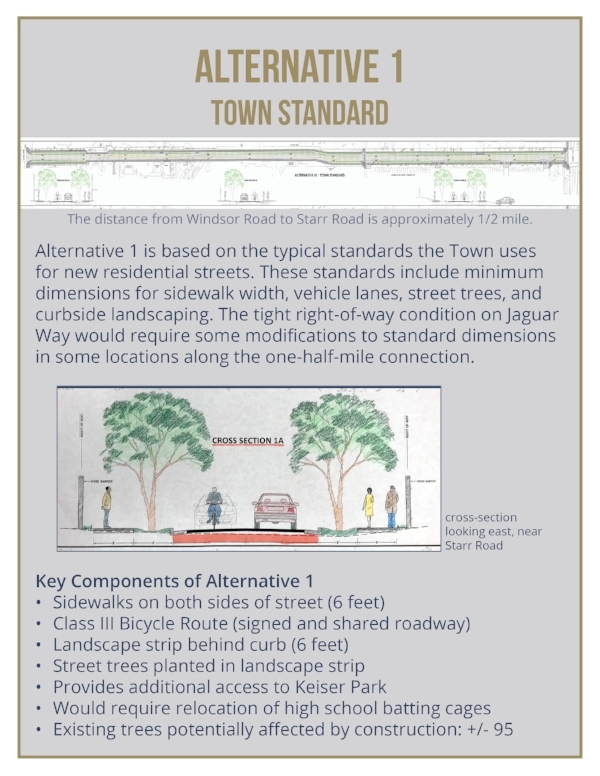 To view the full streetscape alternative image, click link below. Please note: the image file is very large and is best viewed in Internet Explorer, Adobe Acrobat, or printed at 11x17 inches or larger.